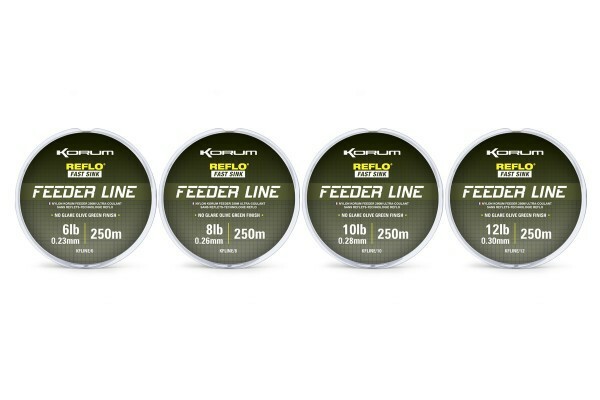 Korum Feeder Line is our first ever reel line designed specifically, for modern feeder fishing techniques. It’s super-fast sinking as it has a specific gravity rate much denser than water, unlike many other lines. It’s superior knot strength, round profile and smooth olive green finish make it absolutely perfect for the rigours of modern feeder fishing. Supplied on 250m Spools. Available in four breaking strains - 6lb, 8lb, 10lb and 12lb. FREE Delivery on all Korum Mainline over £100!! !